Have u noticed Yahoo in the new style. It had refreshed its logo with the new logo but it remains with same purple color and the exclamatory mark as its trademark. Its new logo looks in a new way by slimmer letters. It’s the first time in the internet pioneer Yahoo’s life to change its logo. Its has been marked after 18 years. Marissa Mayer, Chief Executive Officer of Yahoo helped to make this refreshment of new logo. For this new logo, the designing team along with Mayer have spent some weekends and had decided the new logo without leaving the Yahoo’s trademark. Mayer has already made some changes in Yahoo products such as email, Flicker and search. Many steps are been taken by Mayer to make Yahoo attain greater heights. Mayer said that, its the time for change and hence the logo has been changed. And added that, the old logo is valued as much as $10 billion and this change should not lose their trademark. Hence a small variation alone been done in the logo. The new logo hold the Sans serif font with thinner strokes with scallops at end of letters. There is change is exclamatory mark too. Its been titled 9 degrees further. In February, Mayer bought a blogging site Tumblr for $1.1 billion. Marissa Mayer is bringing many changes to the company and attracted lot of attention towards her and Yahoo. This attention have not bought a good variation in the company’s revenue. With the help of China’s Alibaba Holding group which holds 24% of the stock, Yahoo has claimed 80% of their stocks. Other relative groups like Google Inc., Facebook Inc., are showing good revenue growth in their concern but Yahoo fails to mark their growth in revenue. 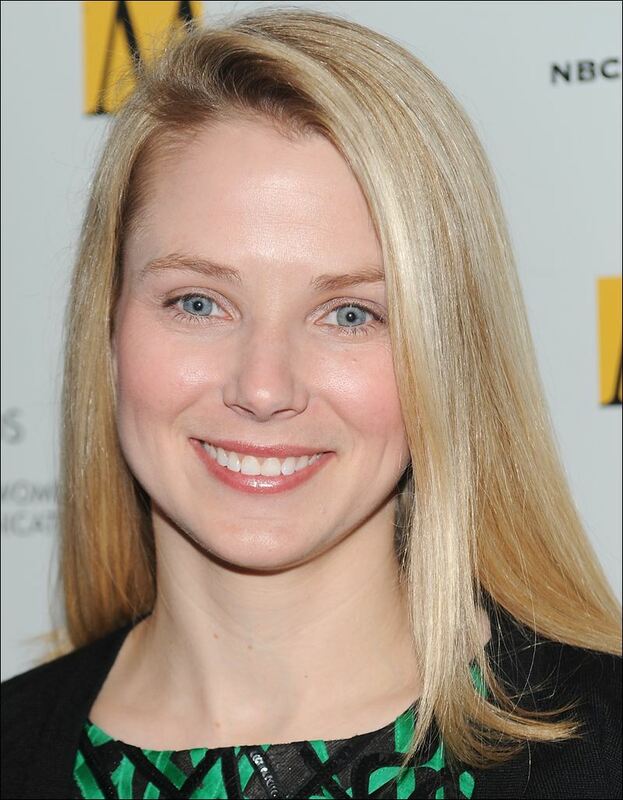 Marissa Mayer has been ranked 14 in the most powerful businesswomen of 2012 in America by Fortune Magazine. She is considered to be good challenger. She entered Google during 1999 and considered to be the first female Engineer of Google. Then she had been an executive and then played major Google key role before entering Yahoo as CEO. Coming to her personal life, she got married to a lawyer and investor during 12th of December 2009. On July 16, 2012 she was appointed as the president and CEO of Yahoo! The new changes in the logo is expected to show new growth in the company’s revenue. The new changes by Mayer is grabbing the attention of everyone and make them to expect more from their concern. Attention is an important thing for a company to take off to greater heights. So its expected that Yahoo may reach greater heights. Readers can share your views on the company and the new changes along with this new logo refreshment.